Our rates are extremely competitive and we always endeavour to deliver excellent value for money and a service that is second to none. We are fully equipped to help with prestige vehicles and we are proud to boast that we have an excellent reputation for the high standard of our work and our customer care. Customer satisfaction is our main priority, so we will always make sure that any work needed is completed impeccably and for a fair and honest price. 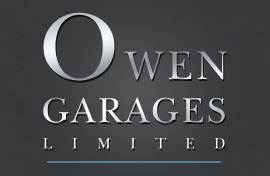 So for help with vehicle repairs, MOTs or car servicing, please don't hesitate to contact us here at Owen Garages Ltd and we'll be happy to help in any way that we can. You can reach us through our contact page, or by using the details listed to the side of the screen. For professional vehicle repairs or car servicing in Haywards Heath, call or visit our garage today.